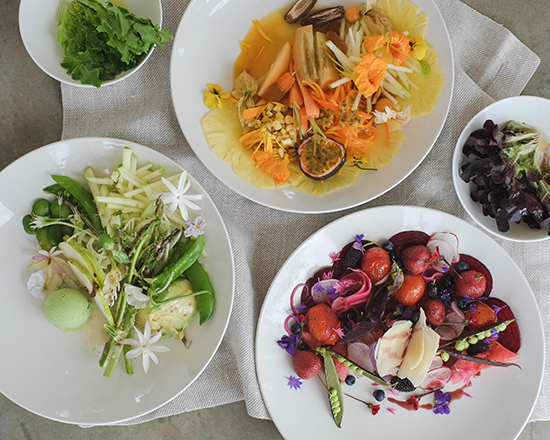 Our new summer menu in Babel is inspired by the abundance of colourful, edible flowers from our all-seasons garden. The kitchen and garden teams collaborate daily to decide what’s ready for harvesting. We are all getting involved in this, this way we all learn together. Our famous colour-coded salads are still on the menu; we just added a fresh summer twist to all of them. You will find delicious slow-roasted tomatoes and strawberries on layers of pickled beetroot, radish and red onion in our red salad. A basil vinaigrette and Parmesan shavings bring all the flavours together in this beautiful salad. Crunchy summer heirloom peas, sliced fennel, apple and pear forms the heart of our green salad. We add fresh asparagus, ripe avocado and an unexpected surprise with a scoop of pea and mint ice cream to make this a glorious green salad. Drizzled with our special Parma ham dressing for a unique flavour combination. Our yellow salad is a melody of Carpaccio of pineapple topped with grilled and fresh sweet corn, carrots and butternut. Slices of Papino with citrus and half a granadilla topped with a cinnamon and medjool date dressing make this salad a wonderful tropical experience. Give your own favourite green salad new life with this creamy avocado and orange yoghurt dressing (from the Babel cookbook). 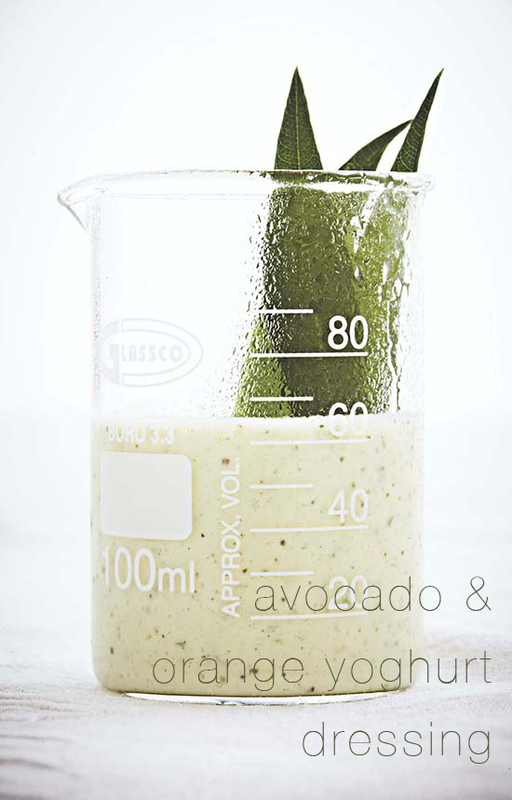 In a blender combine ½ peeled avocado, juice of ½ a lemon, 15ml yoghurt, 125ml olive oil, 125ml fresh orange juice, zest of ½ an orange, ½ a small onion, 5ml French mustard. Blend until smooth. Season with salt and pepper to taste. Thanks for the wonderfull salad ideas. I live on the Modderriver in the Free State and simply love my veggie and herb garden. Nothing makes you feel better than making the whole sald from your own garden. The smell of a tamato plant on your hands, basil on your fingertips, and the soil on your hands. We will be visiting Cape town on the weekend of 15 November. looking forward to our visit to Babylon’s Garden of Eden ! Kan u asb u ontbyt menu vir my epos, met pryse. Ek dink daaraan op my sestigste verjaarsdag daar te vier. Is there vegan options on the menu? Hi Loren, we do have a vegan option on our menu at Babel restaurant and a lovey salad at our Greenhouse restaurant, when you need a gluten free option we suggest that you please call to tell us in advance so that we can prepare a gluten free option for you. Stuur asb vir my die huidige spyskaart met pryse. Is daar golfkarretjies vir mense wat moeilik loop? Kan mens van die vrugte koop om huis toe te neem? Hi Marlena, bel gerus vir navrae op 021 863 3852, hulle sal jou kan help met jou vrae.